The designation is in reach today, I’m hoping. Woke up in Mitchell to high winds and rain and it was about 10:30 before the weather front moved through and the wind settled down. Unfortunately it was looking like a headwind type of day. Just what I didn’t want was a 55 mile day with headwinds that can easily feel like a century ride at the end. It has been about 6 years since I have traveled down Hiway 37 going south from Mitchell. Michelle and I spent a year traveling back and forth from Menno to Mitchell when we both attended the Mitchell Area Vocational Institute, but that was quite a long time back.. Very close to 40 years actually. Obviously a lot has changed. 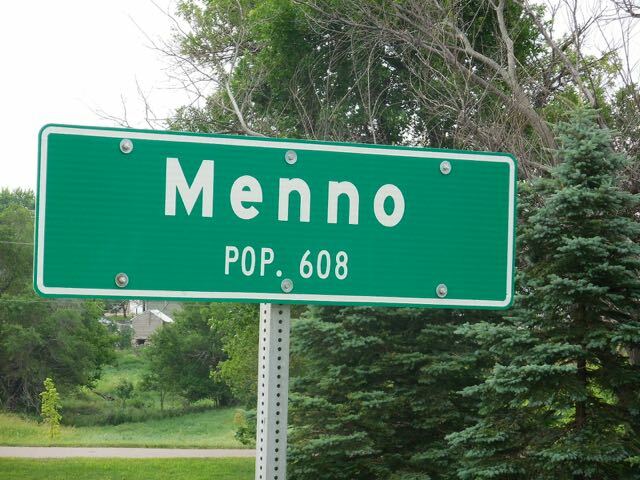 New housing districts are now on both sides of the highway as the city is expanding out. And this means more traffic. So after fighting traffic and a headwind that was coming straight down the highway it was time to pull into Parkston for some lunch. The plan was too head east out of Parkston on Highway 44 for the next 25 miles. Take a look at this mess. Yep for the next 16 miles it was like this. 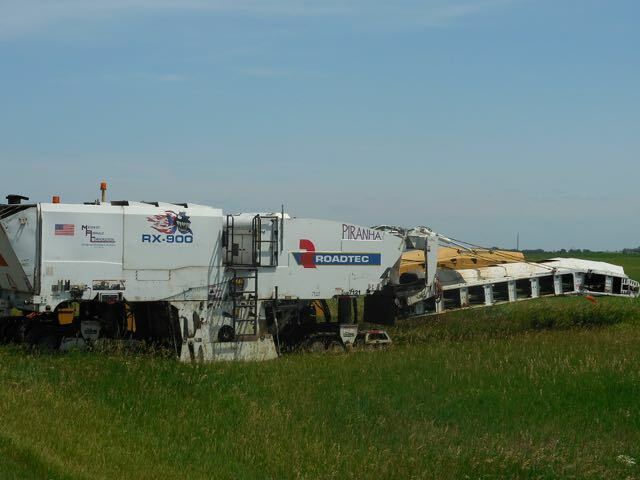 It is a resurfacing machine that levels the road by cutting down all the high spots so that the road is level. 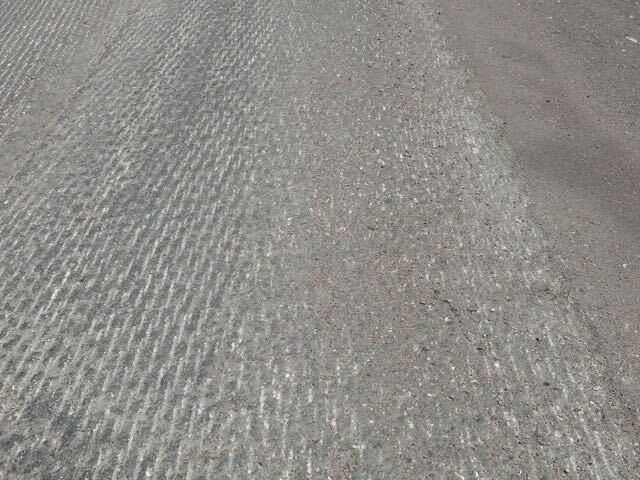 For a car this is probably not too noticeable but on a bicycle it is like a permanent rumble strip. And I would not tell a lie here but the wind also changed so once again it was coming straight down the highway. So after 16 miles of the road construction and a river bottom ride (hole) I was just 11 miles from home. Now I’m starting to get nervous. Like my first time to Wall Drug as a kid. Anxious as I know I have friends awaiting my arrival. 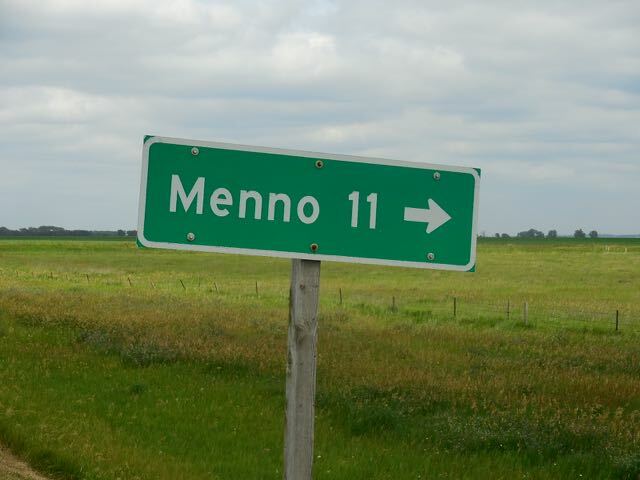 So after about 3 nice rollers and a straight stretch of highway I’m seeing Menno. Really this journey is about to end. But in a very nice way. It was nice to have family and friends waiting for me. It was a very nice end to this long day and a very complete “Welcome Home”. Stay tuned for my final blog coming soon. Need a few days to relax and get my head back to normal.